I was extremely pleased with the professionalism that Dawn Mashinter demonstrated in the recent sale of my property. Since my property is in Ontario and I live in Montreal, I would have expected problems, but I am happy to say I encountered none! With an excellent referral by Dawn to a lawyer in Ontario, the entire sale, from start to finish, was completed without my ever having to leave Montreal! Any issues that arose during the selling period were handled in a most professional manner by Dawn, and if an opportunity arises for her services in the future, I would be very happy to do business with her again. I would not hesitate to recommend Dawn to friends and family members, and in fact I have already done so. We were very pleased working with Dawn, she was professional and had excellent local knowledge and advice guiding us through our cottage purchase. She showed us many potential properties. She had great contacts in the local area for financing and legal work. We wouldn’t hesitate to recommend Dawn for your real estate needs. Dawn is a very well respected Real Estate professional, with a wide network of contacts and friends in Muskoka, and the surrounding area. She is a very knowledgeable, patient and thorough individual who work’s very hard on behalf of her clients. She provides great advice on the potential of properties and service providers in the area and we have no difficulty recommending her to house hunters or sellers. Thank you Dawn for helping us find our new home. I for sure would use you again and recommend you to anyone for a sale or purchase. Thanks! 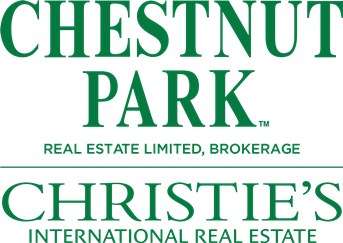 We listed our cottage property to Dawn Mashinter of Chestnut Park Realty and found her outstanding. before choosing Dawn we researched various agents and decided on Dawn based on her sales stats. We found her to be dedicated, hardworking and delightful to work with, her hard work and knowledge of what it takes to sell a cottage really paid off. Our cottage had a contract 4 days after Dawn put it on MLS and closed in 30 days of the listing. We would recommend Dawn Mashinter and her team to everyone we know. She is a true professional. Hi Dawn. Now that my cottage is sold I’d like to take a moment to thank you for the great service you gave me. I had consulted a number of other real estate agents before choosing you to handle my sale, and had been dismayed by their superficial approach and lack of local knowledge. When I met you I was pleased with your ability to listed intently, to communicate well, your efficiency, your ethics, your depth of local knowledge and your drive to get things done well. This spring when it was time to sell, I was tired from dealing with three other projects. You, with your experience, saved me endless time and energy by telling me what’s next, who can handle it and when it should happen. Thanks for that too, Dawn. We didn’t know Dawn Mashinter prior to our first meeting to discuss the sale of our home. From the start, she was very professional, thorough and informative in all aspects pertaining to the presentation of our property. Dawn consulted with us on a regular basis and kept us well informed. She offers a wonderful personality too! We’ve bought and sold many properties throughout the years and we highly recommend Dawn to sell your home or cottage! Thank you Dawn for your assistance in the sale of our cottage. Your professionalism, expertise and knowledge of our local market was evident. We are certain that these factors contributed to a quick 4 day sale. Our overall experience with you was very positive and it was a pleasure working with you. We were very pleased working with Dawn, she was professional and had excellent local knowledge and advice guiding us through our cottage purchase. She showed us many potential properties. She had great contacts in the local area for financing and legal work. We wouldn't hesitate to recommend Dawn for your real estate needs. I would be remiss if I did not thank you for all of your efforts in selling my home in 2015. Your sound advice, knowledge of the market and comprehensive marketing of my home were key to selling it quickly & close to the asking price. Your quick response in addressing matters or questions as they arose through out the process was also instrumental. Again Dawn, many thanks. Buying a cottage was a positive experience.Dawn was extremely attentive and committed in finding us the cottaqe of our dreams.Her knowledge and expertise were instrumental in purchasing this cottage.We would not hesitate to embark on another journey with Dawn. I wanted a small cottage with a lakefront view. These expectations also came with a small budget! Patient, persitent and a knowledgeable realtor of cottage coutry made this dream come true! Thanks Dawn for this cute cottage on the lake !Dear Dawn, Over the last 18 months, Estrid and I have been very favourably impressed by the extent of the effort you have exerted on our behalf. We would certainly not hesitate to recommend you as an agent for anyone buying or selling property if we are ever asked. My wife and I were trying to sell her Mother's home in the summer of 2013, we hhad it listed for quite awhile without much luck. We had to make a decision on our real estate broker who we believed was not doing a very good job for us. A friend of ours suggested we try Dawn Mashinter. Upon meeting her, we could immediately see she had drive and motivation. Once we got Dawn's sign up on the lawn, it was not very long after that we got a firm offer on the house which we accepted! Since then Dawn found a home for us which she thought suited our wants and needs, we loved it! So we put a conditional offer on it, the condition being was for us to sell our home. Dawn got it done! Even with a 3 week closing period! We highly recommend Dawn Mashinter, her enthusiasm and professionalism is second to none! Dawn Mashinter was my real estate agent for two transactions- the sale of my cottage property on Lake Waseosa and the purchase of my lakefront property in 2013.Dawn provided excellent client service and surpassed my expectations. Her professional, personable manner, her sound knowledge and timely responses contributed greatly to the quick sale of my property.I found her to be knowledgeable about the area, property values and information on transactions. She took initiative, was reliable and conscientious and went the extra mile to get the job done. I would highly recommend Dawn to potential vendors and purchasers. Many thanks Dawn. Dawn, thank you for doing such a good job of selling our condo for us recently - for good value and far sooner than we expected, in difficult circumstances. And you were a pleasure to deal with - always on top of things for us, and very friendly. We really appreciate it. We could not have found a more professional and personable real estate agent than Dawn Mashinter to entrust our dreams of buying a cottage and investing our money. Dawn earned our confidence and trust by consistently demonstrating admirable professional and personal qualities. She was concerned and focused on our desires and needs, detailed oriented, had exceptional follow up, was incredibly hard working - but most importantly guided us to through the complicated real estate purchase process full of pitfalls to the successful close of the deal. Dawn was not only competent and efficient in her work but she also demonstrated exceptional communication and people skills - all while keeping a confident, optimistic outlook - and a great sense of humor. Dawn is that rare individual who is able to deal with all kinds of people and problems. We wouldn't hesitate to recommend Dawn to family and friends - in fact we have - with complete confidence and trust. Thank you Dawn for making OUR dreams of cottage ownership come true. - Dr. Joanne Wilsey and LTC Dale Wilsey, US Army, Ret. Dawn recently helped us with the sale of our house. Dawn was exceptionally professional and a great person to work with. She provided us with all the resources to make the whole experience less stressful. We were lucky enough to find a fantastic real estate agent, who we will definitely recommend to anyone who asks.Can’t say enough about Dawn …. She is FANTASTIC !!!!" Didn`t I tell you that you`re excellent? Congratulations and many, many THANKS for the marvelous power you spent doing that great job.Thank you for your professional advice and successful leadership through the hole process. Dawn is a very well respected Real Estate professional, with a wide network of contacts and friends in Muskoka, and the surrounding area. She is a very knowledgeable, patient and thorough individual who work’s very hard on behalf of her clients. She provides great advice on the potential of properties and service providers in the area and we have no difficulty recommending her to house hunters or sellers. Thank you Dawn for helping us find our new home. I for sure would use you again and recommend you to anyone for a sale or purchase. We listed our cottage property to Dawn Mashinter of Chestnut Park Reality and found her outstanding. Before choosing Dawn we researched various agents and decided on Dawn based on her sales stats. We found her to be dedicated; hardworking and delightful to work with, her hard work and knowledge of what it takes to sell a cottage really paid off. Our cottage had a contract 4 days after Dawn put it on MLS and closed in 30 days of the listing. We would recommend Dawn Mashinter and her team to everyone we know. She is a true professional. Hi Dawn, we never second-guessed our choice in a Realtor and want you to know that you will be highly recommended. I so appreciate those drone photos of the entire farm and Muskoka River......such memories. Again, thank you Dawn for making this such a positive experience for us. You went above and beyond. Hi Dawn; Sorry to be so long getting back to you. I replied last week but again it doesn't seem to send properly from my tablet. Just wanted to tell you how much we appreciated the great job you did on selling our property. Even though it was a very stressful time for you, the sale went smoothly and professionally. We are very happy with the outcome and would recommend you to anyone. We have moved our trailer to MBC on Mary Lake and that is working out well. Hope your summer is good and not too overwhelming. At least today is hot and so far no rain. Thank you again, Dawn, for everything. It was wonderful! Now that my cottage is sold, I’d like to take a moment to thank you for the great service you gave me. I had consulted a number of other real estate agents before choosing you to handle my sale and had been dismayed by their superficial approach and lack of local knowledge. When I met you I was pleased with your ability to listen intently, to communicate well, your efficiency your ethics, your depth of local knowledge and your drive to get things done well. This spring when it was time to sell, I was tired from dealing with three other projects. You, with your experience, saved me endless time and energy by telling me what’s next who can handle it and when it should happen. Thanks for that too, Dawn. "We didn't know Dawn Mashinter prior to our first meeting to discuss the sale of our home. From the start, she was very professional, thorough and informative in all aspects pertaining to the presentation of our property. Dawn consulted with us on a regular basis and kept us well informed. She offers a wonderful personality too! We've bought and sold many properties throughout the years and we highly recommend Dawn to sell your home or cottage! Thank you Dawn for your assistance in the sale of our cottage. Your professionalism, expertise, and knowledge of our local market was evident. We are certain that these factors contributed to a quick 4 day sale. Our overall experience with you was very positive and it was a pleasure working with you. I wanted to let you know how much Don and I appreciated working with you. Your professionalism and personal attention to detail was very important to us and really helped to gain our trust in you. If we have any family and friends that are interested in your market-we will be happy to refer them to you!